H&M has released a new commercial, featuring the H&M Loves Coachella collection, which “has all the pieces to get the festival spirit”. 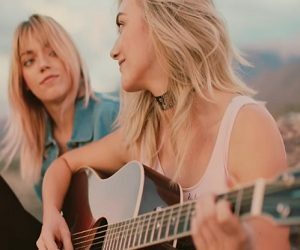 The spot features an exclusive new video in which the alternative pop band The Atomics (consisting of Lucky Blue Smith and his sisters Pyper America, Starlie and Daisy Clementine) cover “Let’s Live For Today” by The Grass Roots, showing how the Coachella look spreads worldwide beyond the festival itself. The H&M Loves Coachella collection will be available in the US from March 23 and globally from March 30 in all H&M stores that carry Divided, as well as online.